Dr. Tara Spires-Jones, Director of the Centre for Cognitive and Neural Systems at the University of Edinburgh, is trying to understand how synapses are affected in Alzheimer’s disease. Her research team is using sophisticated imaging techniques to find out what causes these connections between nerves cells, crucial for making and retrieving memories, to break down in Alzheimer’s patients. Through this they hope to identify new targets for drugs to prevent the disease. Beta amyloid protein takes two forms: plaques and small collections of cells called oligomers. Spire-Jones’ research suggests that oligomers are causing damage to synapses, not plaques. Being Patient: What are synapses and what do they do? and thinking – all of the things that make us human. But the way the neurons talk to each other is through little connections called synapses. That’s where you get the information from one part of the brain to another. You have 100 billion neurons in your brain and 100 trillion synapses. That’s more synapses in your brain than there are stars in the galaxy, so it’s an incredibly complicated system. Being Patient: Why are synapses important in the search for treatments for Alzheimer’s disease? cognitive decline in the disease. 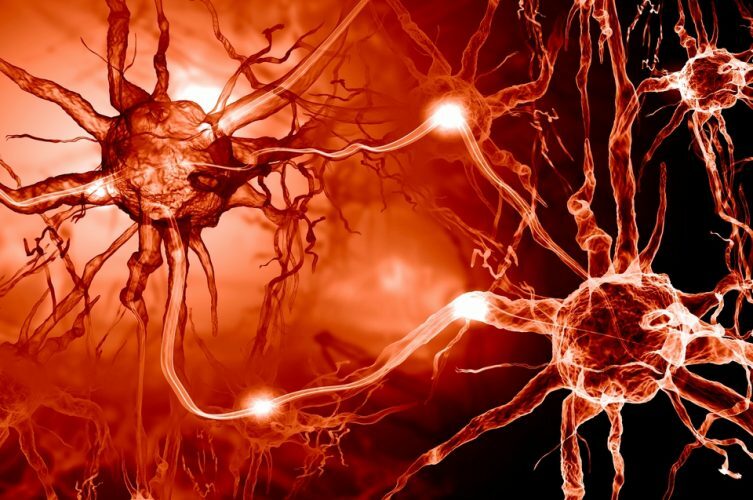 You have most of the neurons in your brain since before you were born but you get new synaptic connections. They’re the things that can change in response to the environment and make the memories. We’re seeing that they die in Alzheimer’s disease very early and we’re just now starting to figure out why. Both of the proteins associated with Alzheimer’s, beta amyloid and tau, can drive the loss of synapses. In my lab, we’re finding both beta amyloid and tau in the human synapses where we think they’re doing the damage. We’ve seen in our model systems [using mice] that they are doing damage. We’re using human stem-cell-derived neurons in a dish [made from donated skin cells] and we can dump on beta amyloid and tau into those cells and we can look at what’s happening to the synapses to make them die. Being Patient: What are the most significant discoveries you’ve made through your research? Our work has contributed to the idea that it’s the soluble oligomeric forms [small collections of molecules that are soluble and float around the brain] of beta amyloid and tau that are toxic and not the clumps, the beta amyloid plaques and the tau tangles. That was a big paradigm shift in the thinking for the field. You still hear us debating it today because we’re still using plaques in the brain as an outcome measure. We’re arguing that that’s not a great measure if they’re not the source of toxicity and that a lot of people who are healthy end up with those plaques. of that oligomeric beta amyloid at the synapses by five-fold. This is a huge effect. Usually, a 20% change is biologically significant and can cause a big effect. We saw five times more beta amyloid in the synapses of people that had APOE4 than those that had APOE3 in their brains because of their genes and saw this huge difference [in their synapses]. There’s a lot of evidence supporting that APOE4 decreases the clearance of beta amyloid from the brain and increases its aggregation. We’ve also found that it increases the really toxic amyloid at the synapses and we know that the synapse loss is a really strong correlate of cognitive decline. Being Patient: Is there a healthy form of beta amyloid that exists in the brain and does it have a function? Does it have a function? Probably. Do we know what it is? Not really. It exists in healthy brains but it doesn’t clump up and it doesn’t exist in such great amounts. It accumulates in the brain both in the plaques and in the oligomeric form only in disease or usually in disease. Plaques themselves are not usually associated with neurodegeneration. In a couple of studies, oligomeric beta amyloid has been shown to correlate with cognitive decline. The accumulation of tau tangles also correlates with cognitive decline. Being Patient: Do you know if beta amyloid is causing the loss of the synapses? in the gene that make beta amyloid cause Alzheimer’s disease. But they’re about 1% of cases. For the vast majority of Alzheimer’s cases, we don’t know that beta amyloid or tau are causing the disease. There’s really good evidence that they’re contributing to the disease process, but the definition of the disease is every single person who has Alzheimer’s dementia has these two things in their brains. We don’t know if it’s the root cause but it definitely contributes to the cognitive decline. The reason for targeting beta amyloid is because it’s always there, because it can cause the disease in these rare cases that look exactly the same as these sporadic cases. So we have some ideas of the things that are toxic to the synapses but what are we going to do about that? We need to have a druggable target. We’re learning a lot and we’re getting better at designing the [drug] trials. I still think, and I’m not alone in this, that there is hope that we will find something that will be helpful in changing the course of the disease.